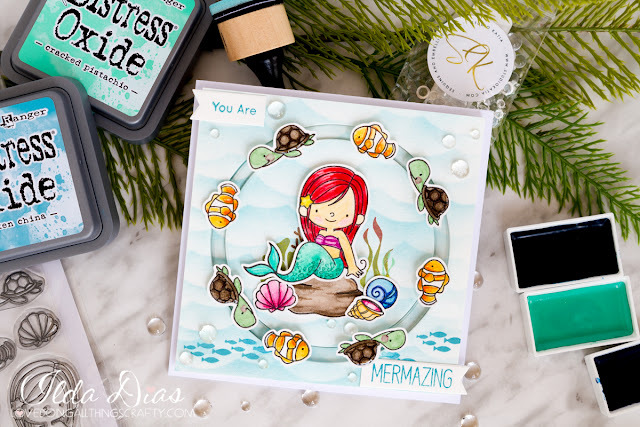 Today I have a really fun card to share with you all featuring MFT's Mermazing stamp set. I can't believe it's taken me so long to make something with this set. I LOVE, LOVE, Love it! I'm sure you may see a few more cards created with this set in the near future. It's hard to tell from the picture, but the fish and turtles spin all around the card. 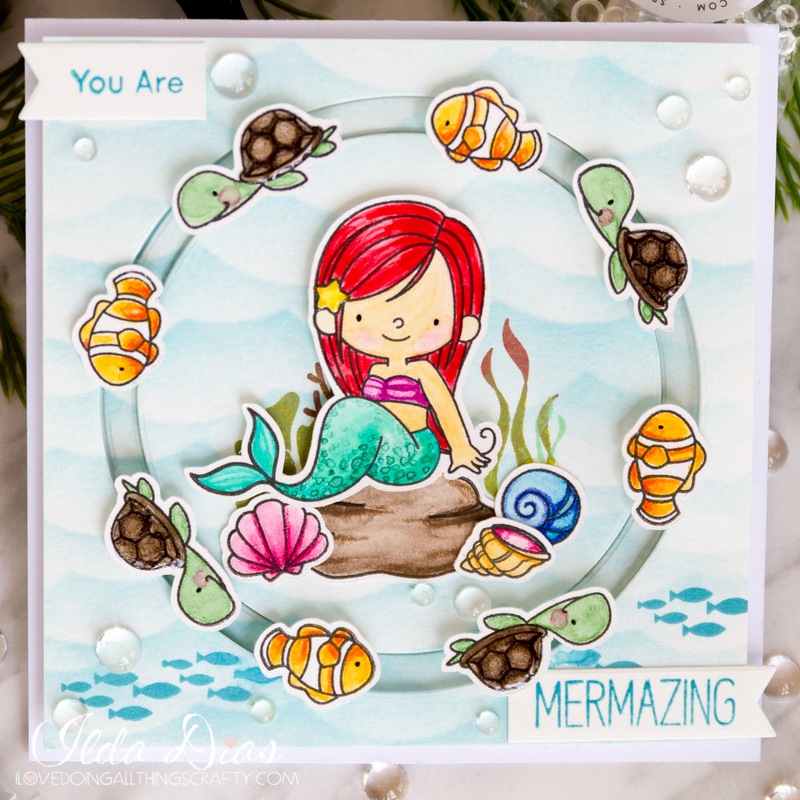 There is an acetate ring that allows the critters to move all around the mermaid. I guess you could call this a mixed media card as I used so many coloring elements. To watch how this card came together I would love for you to watch my process video. Plus, Thank You to all who have subscribed to my channel and have given me feedback... All your thumb ups and comments are very appreciated and so encouraging! :) Beautiful card!!!!! So much depth, thank you for sharing.